We are finally starting to settle into a routine with our new school year here at the Moscato household. A lot changed this year with Midge heading off to Middle School and the Teen heading off to college. One of the biggest adjustments for us has been meal times. With everyone getting home much later we have had to shift everything from snack time to dinner time and even bedtimes to accommodate the new schedule. Our biggest struggle has been Midge getting home from school “starving” only about an hour before dinnertime. I have had to come up with creative after school snacks that satisfy her but do not ruin her appetite so that she will still eat a healthy, wholesome dinner. Growing up in the South sweet tea is just a staple. No matter what time of day – breakfast, lunch, dinner, and snack time – we drink sweet tea. I keep several of the 64oz bottles of Gold Peak® Tea on hand so anyone in the family can grab a glass. 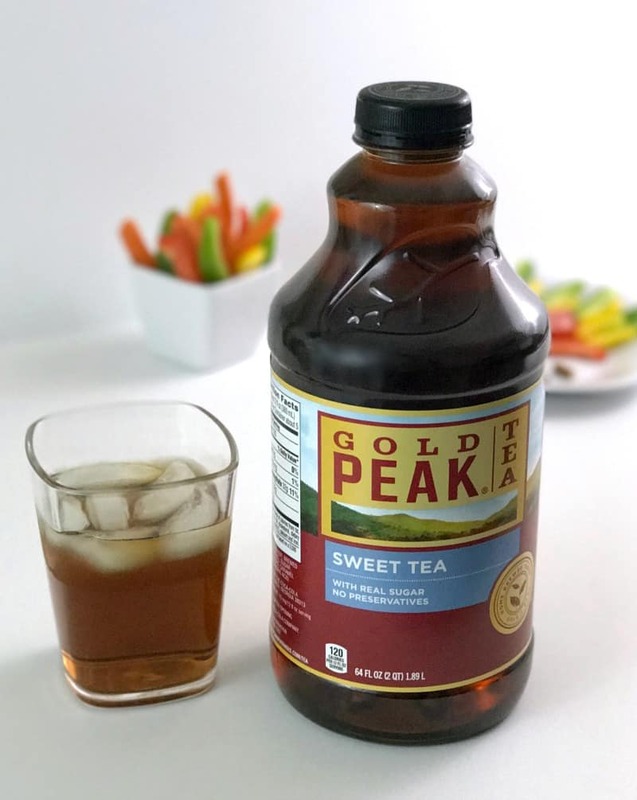 Gold Peak® Tea comes in several varieties, but the Sweet Tea is our favorite. Made with real sugar and no preservatives, Gold Peak Tea tastes like freshly brewed tea without the wait! I have recently started drinking the Gold Peak Green Tea too – it is delicious! And they both have just enough sweetness to pair perfectly with these savory after school snacks! When it comes to after school snacks I have a few things I insist on. One is that it is a snack that is satisfying but not too filling so that she will be hungry again for dinner just over an hour later. Two it needs to be something I can put together quickly that taste great. And Three – it needs to be fun! I know she is getting older, but with the seriousness and toughness of middle school, I want her to be able to come home and spend a few minutes telling me about her day while… well playing with her food. Snack time is kind of our time to laugh and play and goof off before our evening routine of homework and getting ready for the next day begins and if I can get her laughing when she walks in the door, it just makes everything run more smoothly the rest of the night. My Go To Snack is Turkey Roll Ups because they are simple and delicious and packed with protein. 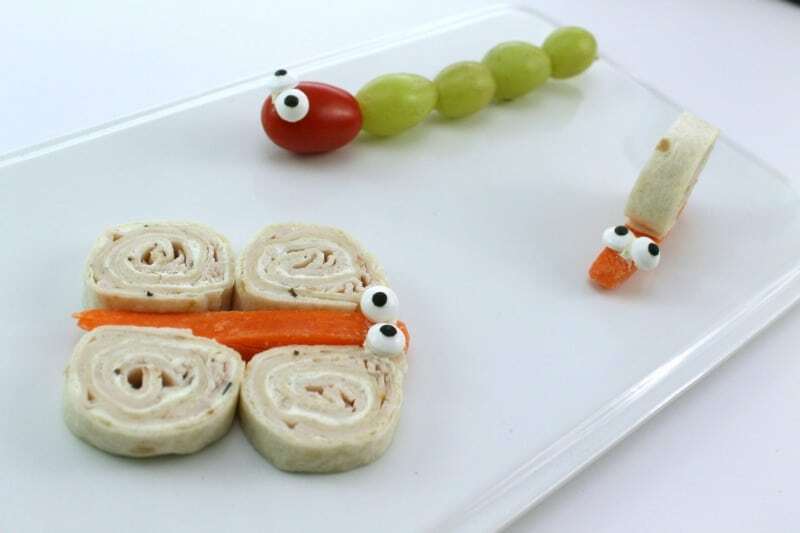 Plus they make super fun Snack Critters! All you need is large flour tortillas, your favorite herbed cream cheese, and deli meat turkey. 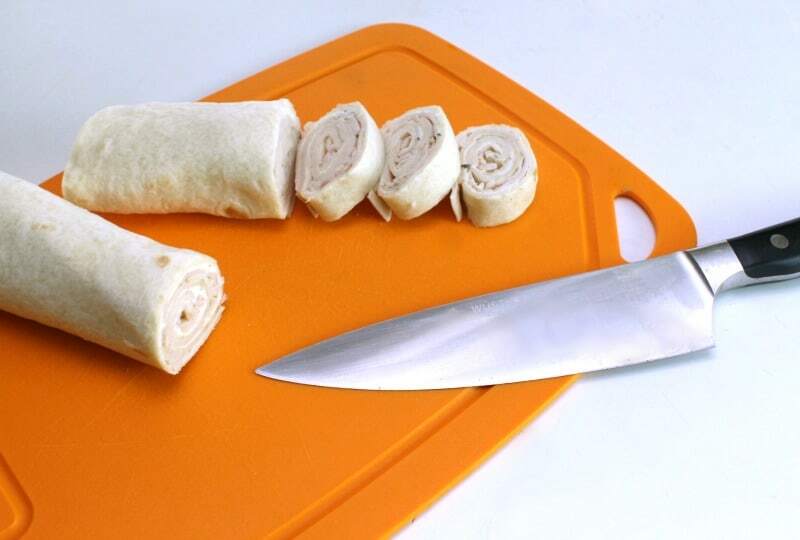 Smear your cream cheese on the tortilla and lay out turkey slices. Starting on one side, tightly roll up making sure to keep the turkey from sliding. Then run into the refrigerator to chill for about an hour. Slice with a sharp knife and make into your favorite critters – like carrot snails and butterflies! I actually like to make the roll up first thing in the morning along with her lunch so they are ready to be sliced up the minute she walks in the door from school. 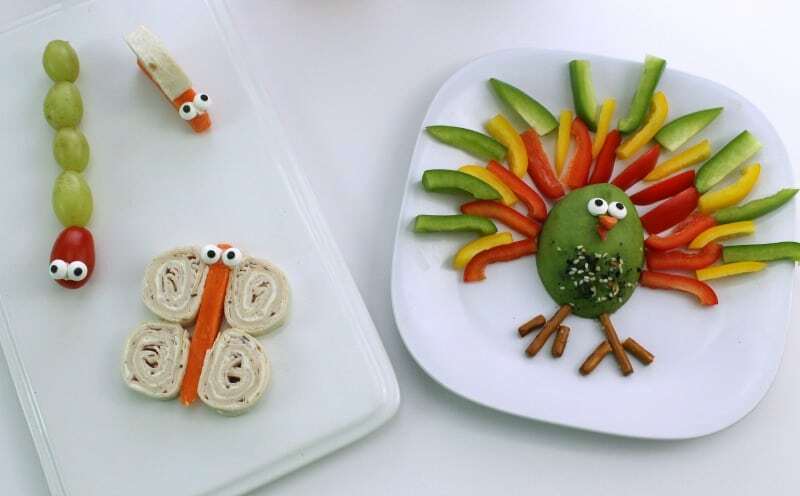 Once you have your easy Turkey Roll Up sliced you can place one on top of a carrot stick to make a super cute snail! Use four slices with a carrot stick to make this adorable butterfly! If you have candy eyes you can use just a dab of your whipped cream cheese to make them stick to give your snacks even more personality! How adorable are these!? And so fast to throw together. You can also use a toothpick or skewer to make a Grape and Tomato “Caterpillar” friend for them too! They are almost too cute to eat! I also love working avocados into her snacks because they are so good and so good for you! Recently I have had great luck in finding perfectly ripened avocados so we have been eating at least one a day! I surprised Midge with an Avocado Turkey – she loved it! Did you know that you can put an unripe avocado in a paper bag with a banana and it will ripen faster? Neat, right? No more waiting days and days and risking an avocado getting too ripe when you are not ready to use it! 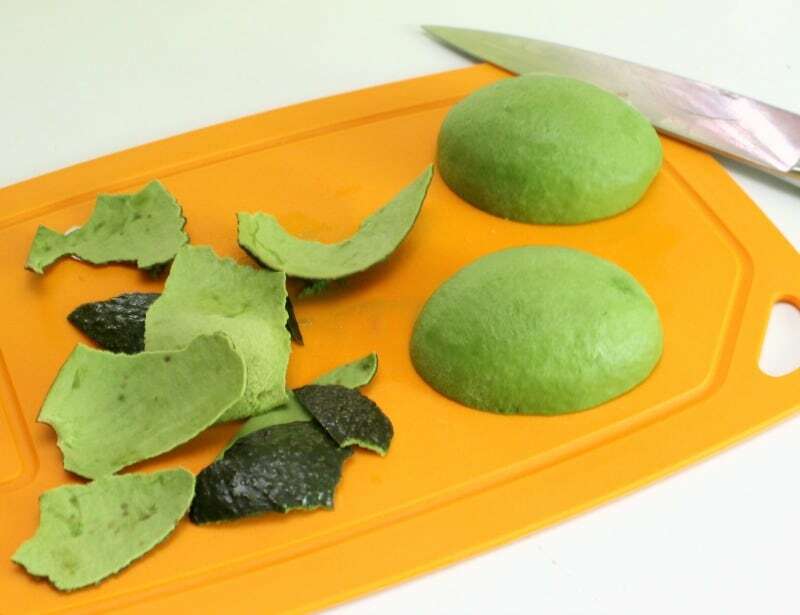 Once your avocado is perfectly ripened simply cut it in half, remove the seed, and gently peel the outside. Voila, the perfect turkey body! A few fresh bell peppers and pretzel sticks for the feet and you are good to go with a super fun after school snack! I even sprinkled a little “everything” seasoning on the avocado for ummm…feathers?! Super easy, super delicious, and so much fun. I think food just tastes better when it looks fun! 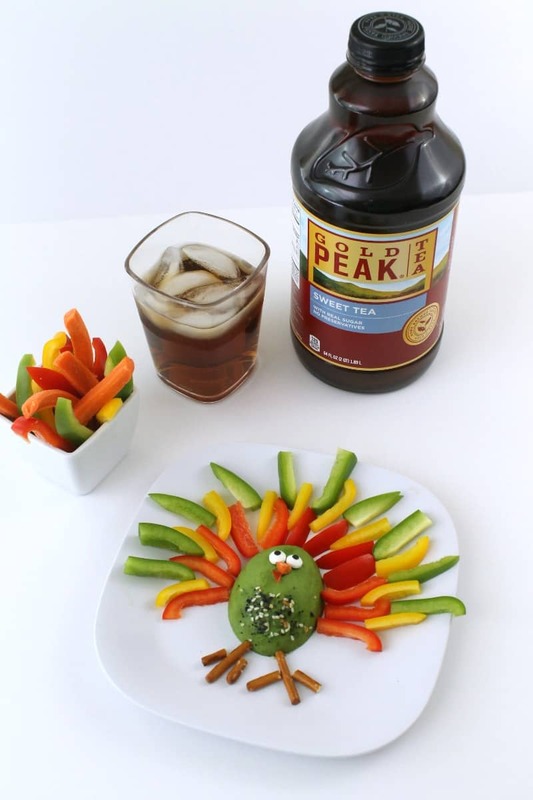 Whether you are making a crazy fun after school snack or just need a quick drink, stock up on Gold Peak Tea at your local grocer. And forget what you learned about not playing with your food!! 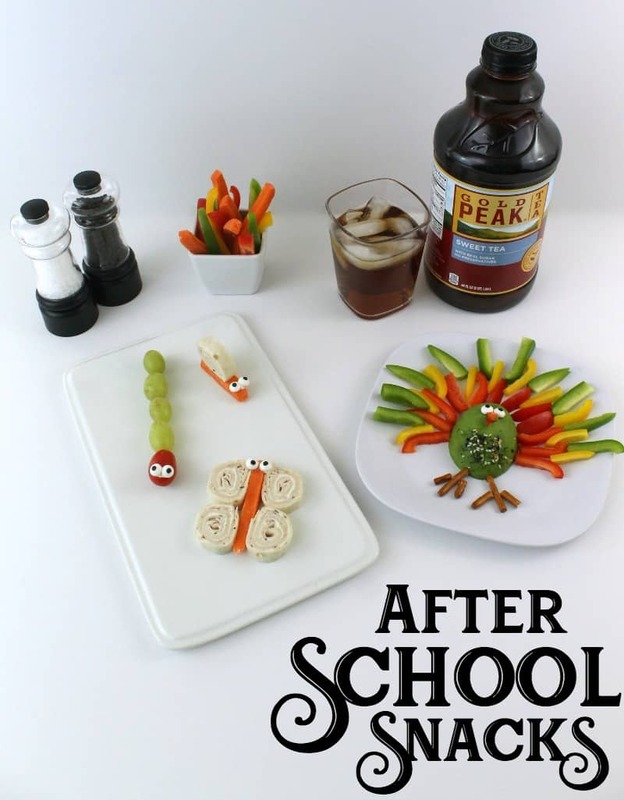 Make these quick and delicious After School Snacks for your kids! These are SO fun and I love they’re not super complicated (plus they all sound delicious even to me!) Definitely going to have to make them for my kids soon! I love these! Maybe my kids will eat their veggies now!